Birmingham is gearing up for a weekend of SERIOUS competition as the biggest and best athletes descend on the city ready for this year’s British Athletics Championships. Fighting it out for the title of British Champion and a place on the plane to Berlin’s European Championship in August, these athletes are all about the hard-core workout, the high intensity training and smashing their athletic goals. Hosted in the heart of Brummy-ville at The Alexander Stadium, the venue is preppin’ for just over 700 athletes to take over with shot putters, high jumpers, runners and hurdlers fighting it out to be named British Champion in their category. Kicking it off Saturday morning with the Women’s 100m semi-finals at 14:50, it’s girl power from the word go. While on Sunday the day’s events heat up with the men’s 400m final, women’s 200m final and 1500m final. Coverage live on the BBC starts at 2:45pm Saturday but with tickets still available, why not get involved with the live action! Who You Need To See! Doubling up as the British Athletics Championships AND the trials for August’s European Championships, there are some hot favourites hoping to make a name for themselves, whilst the more experienced pros work on making sure you never forget who they are. 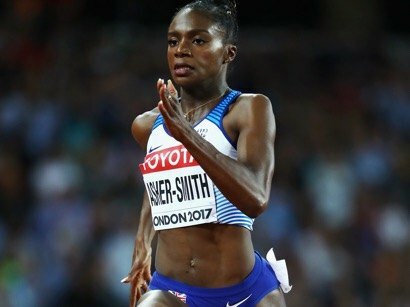 From the girl’s corner, all eyes are on Dina Asher-Smith’s 200m sprint and Morgan Lake’s high jump attempts set to better her Silver medal from the Australian Commonwealth Games. 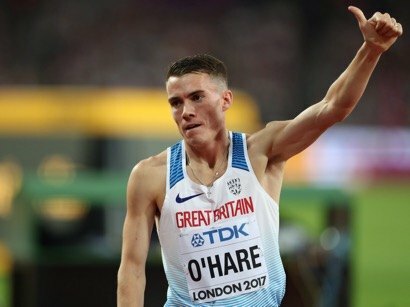 Meanwhile, Chris O’Hare is hoping Scotland can take home the gold, silver and bronze in the men’s 1500m and repeat last year’s success with his fellow Scots, Josh Kerr and Jake Wightman. 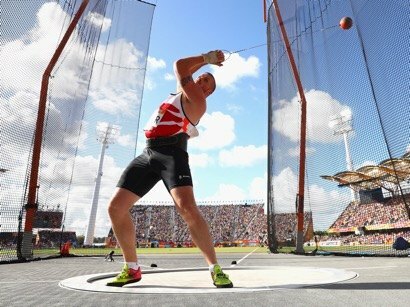 You might also spot Nick Miller throwing the hammer towards his first British Championship gold and Andrew Pozzi tackling the hurdles in an attempt to better his previous sixth position at the previous Commonwealth Games. Inspired by this week’s events and ready for your next challenge? 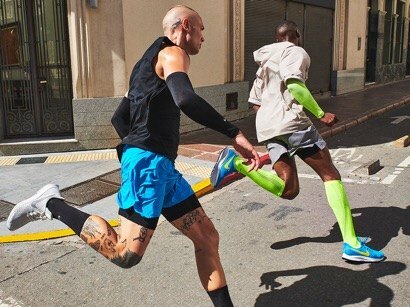 We’ve picked the latest kicks, gear and equipment ready for running your best race yet. 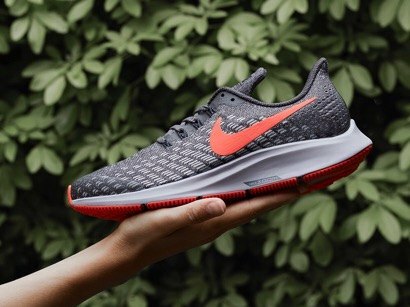 Opt for the refreshed and revamped Nike Air Zoom Pegasus 35 to take on your first 10k, park sprint or training session. 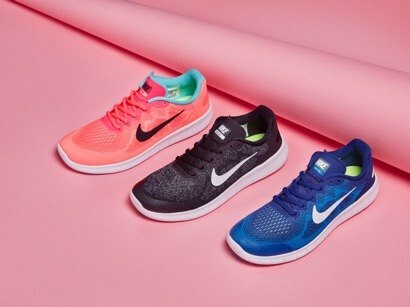 Packed full of the latest tech including a Flyknit upper, responsive Air Zoom unit and Nike Flywire cables, you’ll be flying across that finish line! For all the comfort, cushioning and a lightweight feel ready for high power intense runners, the Nike Epic React is right here waiting. The ultra-responsive soles, foot contours and essential heel/toe traction makes it easy to push off toward your next challenge. 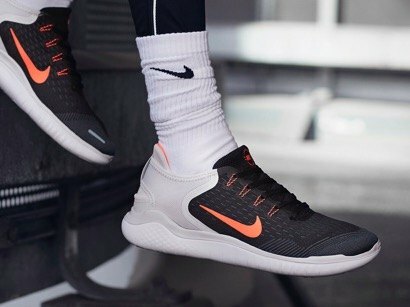 Or, if you’re needing that little bit more freedom then you need to get on the Nike Free RN 2018 hype. Built with a soft, lightweight and durable design, you’re going all the way with secure heel strap, push off power and serious style. What’re you waiting for? Get ya sneaks on!